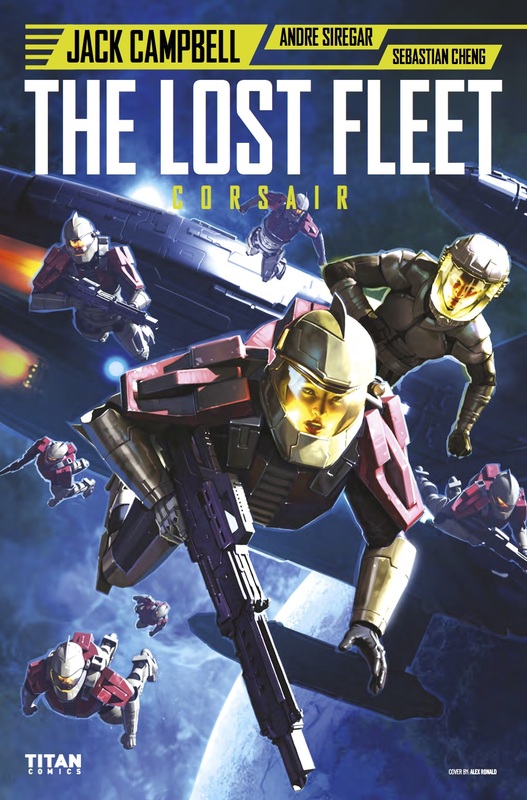 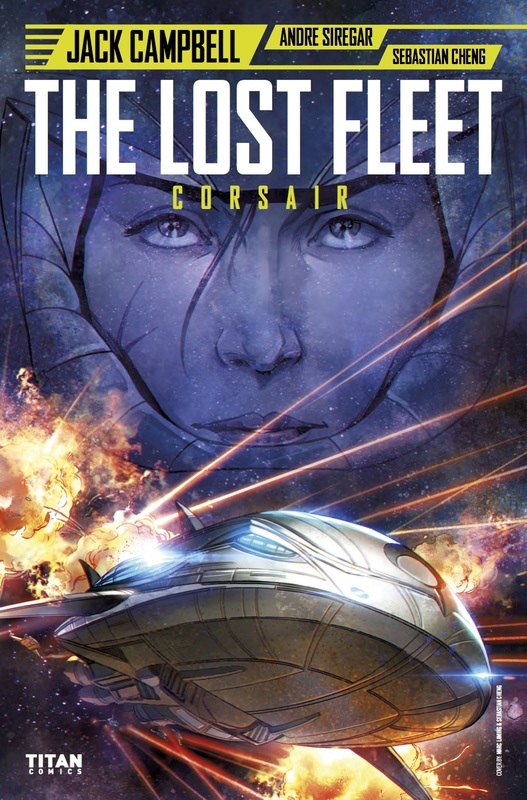 The Fellowship has obtained a first look at THE LOST FLEET CORSAIR #2 from Titan Comics. 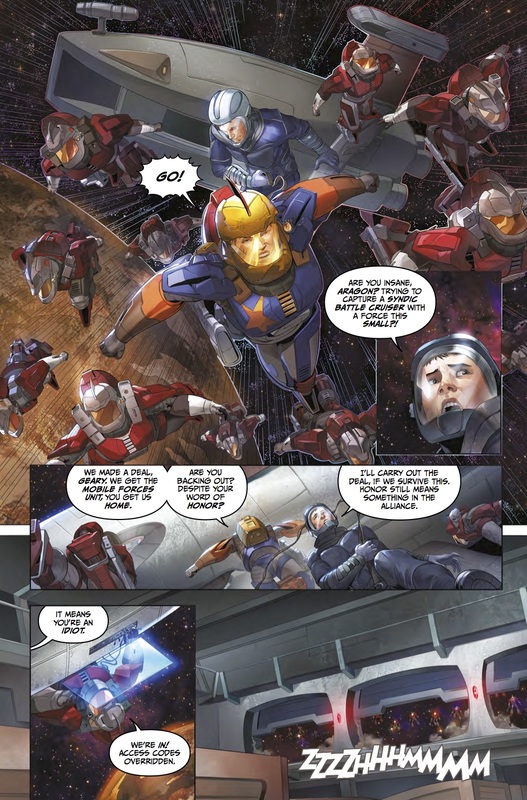 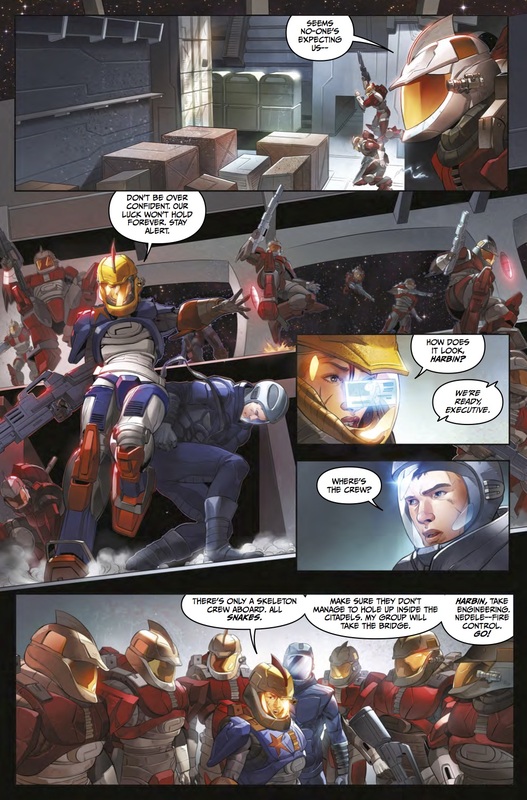 The issue, which hits stores July 5th, is written by Jack Campbell with art by Andre Siregar, inks by Bambang Irawan, and colors by Sebastian Cheng. 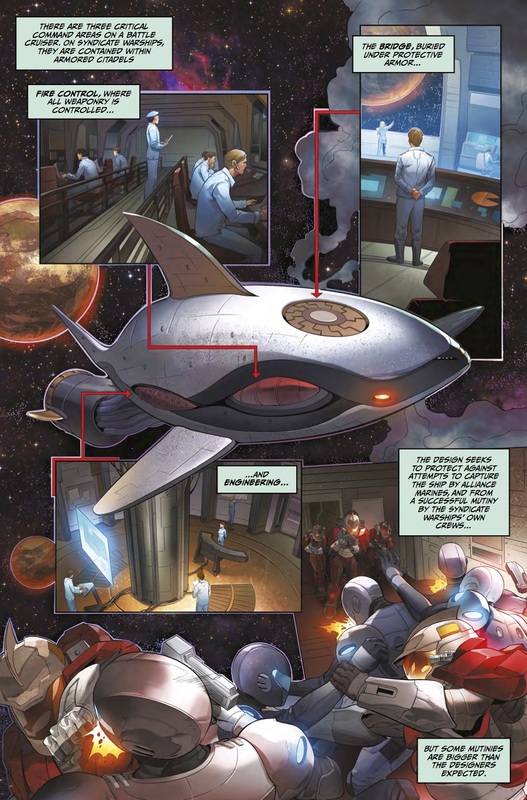 The covers are by Alex Ronald, a wraparound cover, and Marc Laming & Sebastian Cheng. 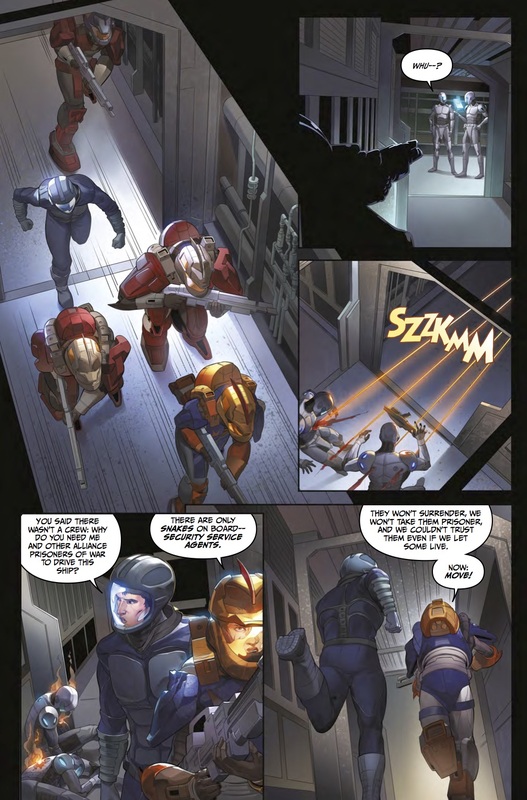 Destina Aragon leads her Tigres forces to capture a battle crusier from the Snakes - - the Syndic Security forces - and get her troops home with the help of Captain Michael Geary. 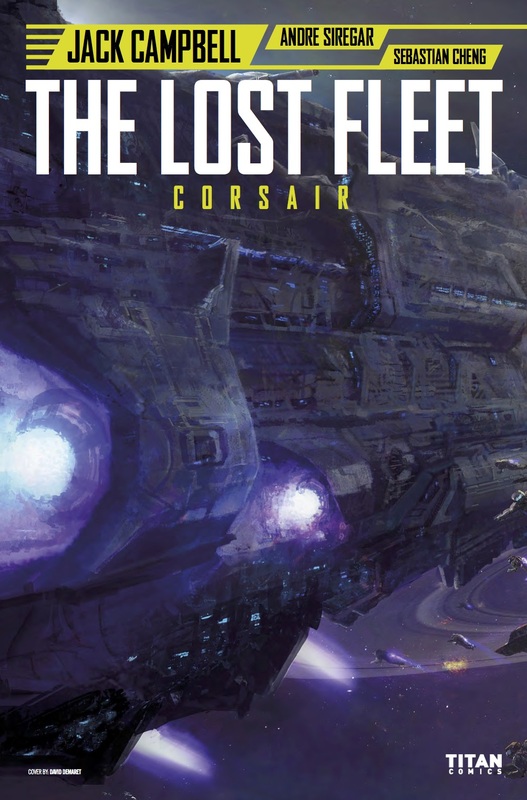 Can they succeed - and even if they do, will an uneasy alliance hold, or end in disaster as another Syndic ship heads toward them, determined to put a quick end to an unexpected rebellion?